Glushkov’s Futropolitan returns to the very roots of chocolate, as it unifies raw cocoa beans with the fertile soil beneath us. His multi-level hybridisation underlines the importance of our earthly delight. Will cocoa thrive in tomorrow’s cities? That’s uncertain. 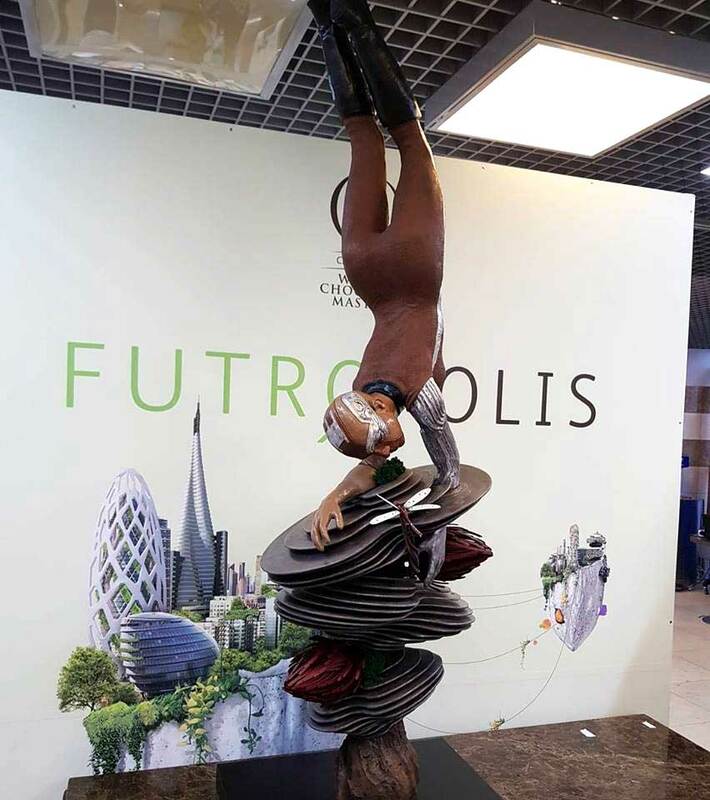 Artem’s acrobat reflects the future as a delicate balancing act. And his plate tectonic structures make us wonder even more in what ways the world will move. The showpiece is an outspoken advocate for earth’s well-loved resources, as it highlights chocolate as absolutely indispensable. 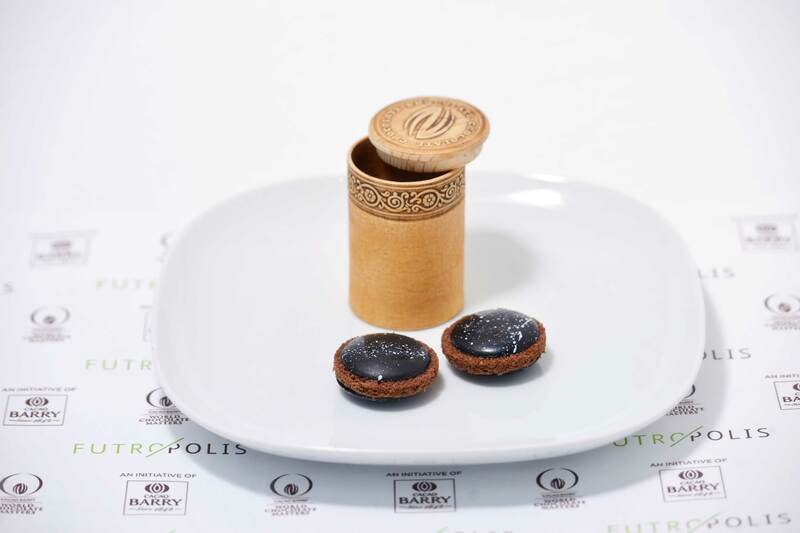 An elegant Fresh Flavours of Futropolis made with Breton shortbread, Tanzania Origin chocolate, Ghana Origin chocolate mousse, vanilla ice cream and rich notes of almonds and hazelnuts. 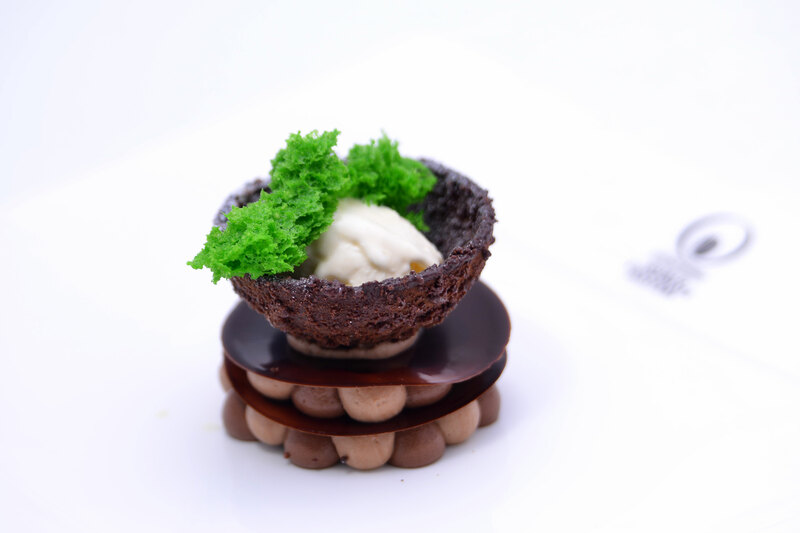 For his Chocolate Snack To Go, the chef created an intricate wooden box containing spherical chocolate cookies. 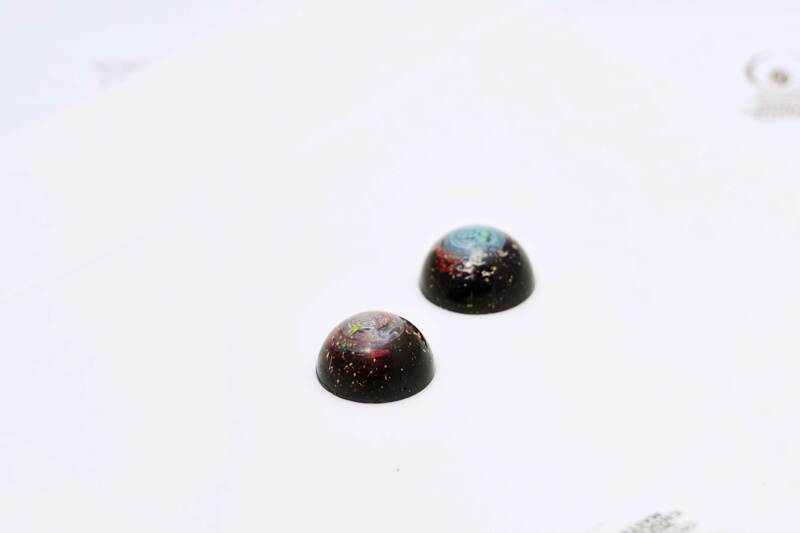 These bittersweet delights combined the floral notes Tanzania Origin chocolate, fresh maracuya, a salted caramel ganache and notes of nougat: a cookie concept that fits right into your pocket. Artem’s moulded taste sensations stood out from the crowd because of their playful colour combinations and interesting flavour palette. Flavour pairings? Ghana Origin chocolate with fresh hints of red fruit and chestnut, an exotic passion fruit ganache and little hints of salted caramel. A dash of limoncello brings a fresh bite to this spicy delight.